That’s how environmental journalist Robert Weir summed up his recent seven months in India, spent mostly in Calcutta (Kolkata), working with Rosalie Giffoniello’s “Empower the Children” program. 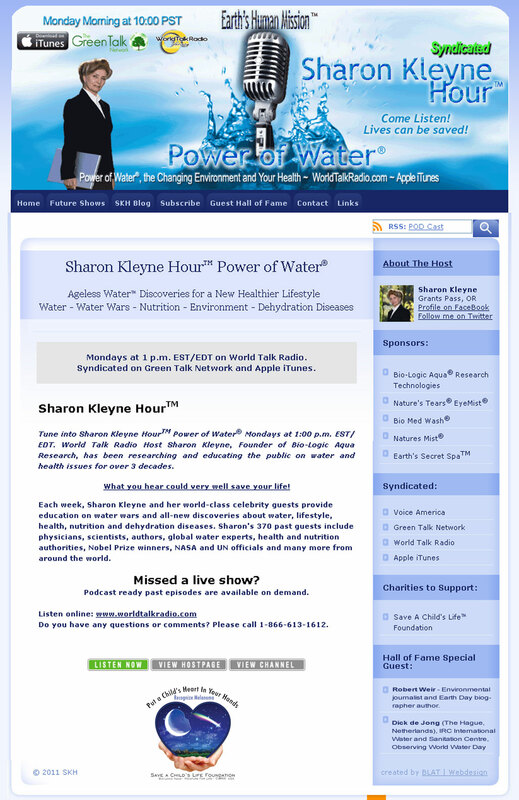 Weir discussed his experiences in India on the Sharon Kleyne Hour Power of Water syndicated radio talk show, on March 19, 2012. Sharon Kleyne noted that she has a long-standing interest in India’s massive water problems and in the plight of the country’s millions of impoverished children. Her granddaughter spent time in India working in an orphanage, also in Calcutta. In a discussion of India’s water problems, Mr. Weir noted that while India is relatively water rich, they have four times the population of the United States in less than half the area (1.2 million square miles). India’s water transportation and sanitation infrastructure is not well developed and running water can be unreliable. Sharon Kleyne contrasted India with the United States, in which 635 gallons of water are used to produce one hamburger (including raising the cow). She noted that only 3% of the world’s water is fresh, only 1% of that is recoverable and most of the 1% is unsafe to drink. With projected world population growth and economic development, Mrs. Kleyne explained, the world’s water needs are projected to increase by 40% in the next 40 years. Robert Weir arrived in India on August 2, 2012. In Calcutta, he contacted Rosalie Giffoniello, whose Empower the Children program educates thousands of slum dwelling youngsters. Weir noted that although every child in India is legally entitled to an education, government schools require shoes, uniforms and book purchases. As a result, many slum dwelling children do not go to school. Empower the Children runs several small, informal schools in which shoes, uniforms and books are not required. Schools are often one room, with 70 to 90 students, ages five to 19, sitting on the floor. There is no running water and no toilets. The schools provide books, clothing, six nutritious meals per week, tutorial assistance, vocational training and even university sponsorship. Robert Weir described the children as “Well behaved and eager to learn.” Most of the children’s homes are extremely small, with no water, sanitation or kitchen. There are community toilets and pumps but hand washing and baths are difficult. During his visit, Robert Weir stayed in a poor area that was not a slum. The population density of 40,00 people per square mile was uncomfortable but he was uplifted by the religious diversity, and the sense of community in which all parents look out for everyone’s children. Empower the Children website: www.EmpowertheChildren.org. Sharon Kleyne Hour Power of Water is sponsored by Bio-Logic Aqua Research, whose Nature’s Tears® EyeMist® is an inexpensive all-natural, all-water, personal, hand-held humidifying device for dry eye. Nature’s Tears® EyeMist® is available at http://www.BioLogicAqua.com, Amazon.com, drugstore.com and selected drugstores nationwide.